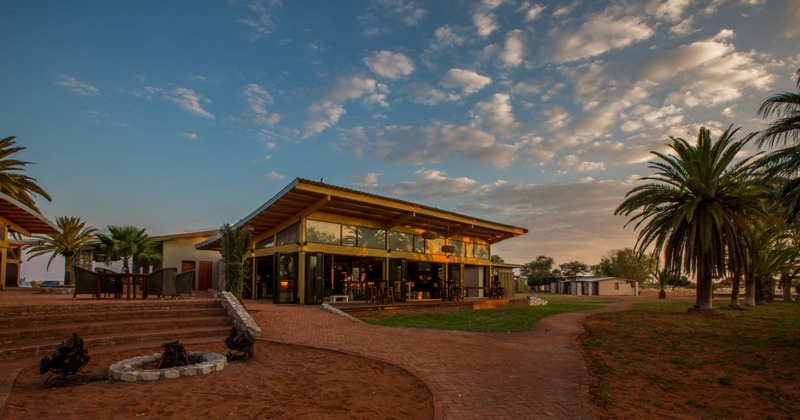 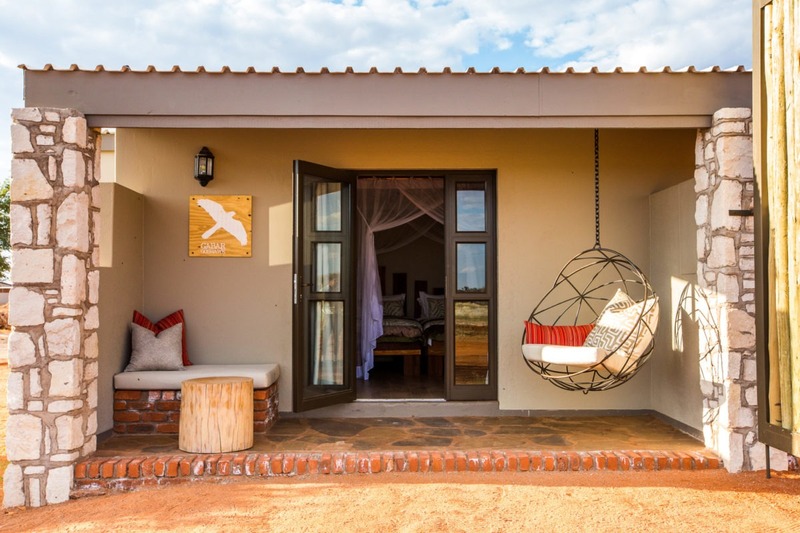 "Explore a place of burnished sands at Kalahari Anib Lodge"
A green oasis surrounded by the burnt-orange sands of the Kalahari. 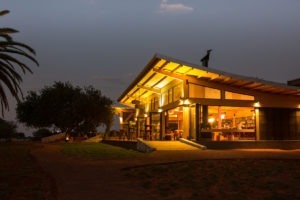 Kalahari Anib Lodge lays near Mariental and provides an ideal overnight stop if travelling between Windhoek and southern Namibia. 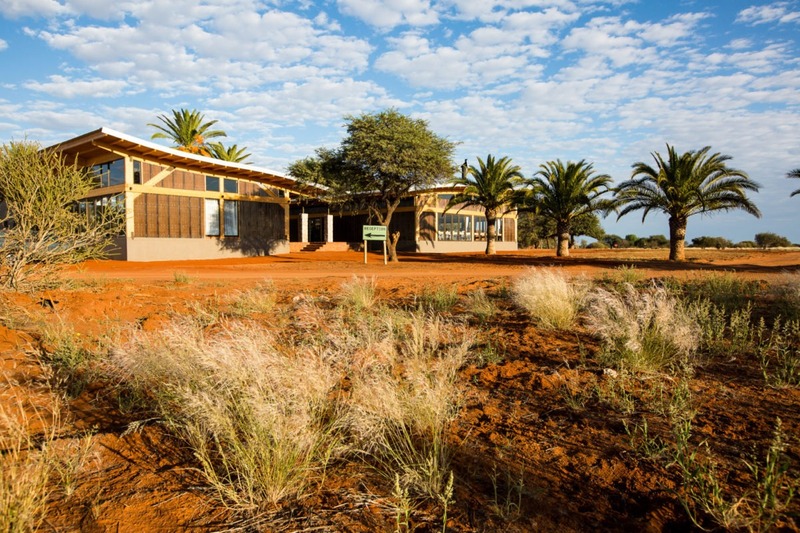 The Lodge is surrounded by yellow grass and dark green acacias are accentuated against burnt-orange sand and the blue of an infinite sky. 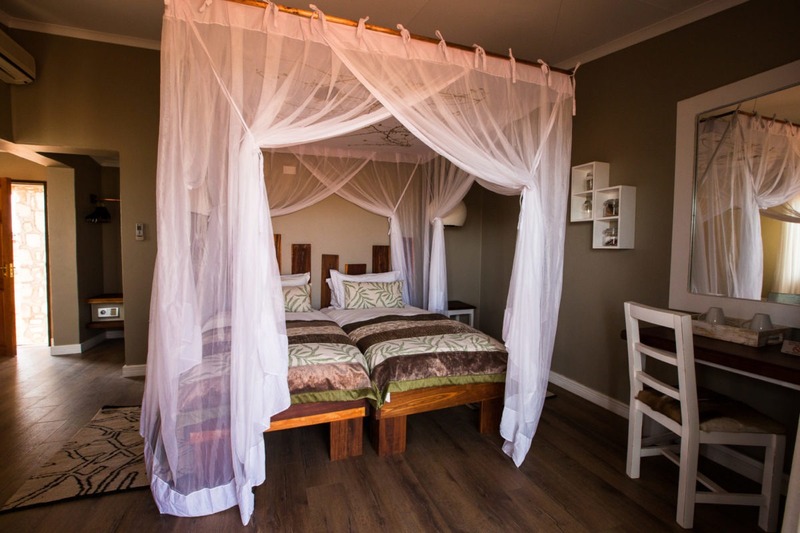 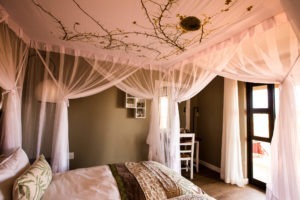 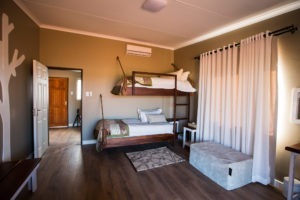 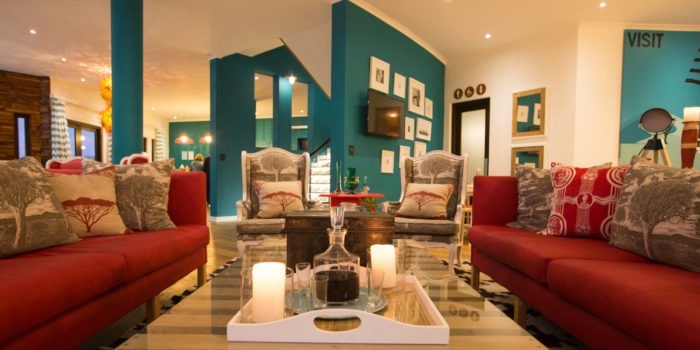 Each of the tastefully designed en-suite rooms is equipped with cozy beds, air conditioning and mosquito nets. 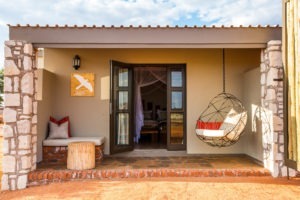 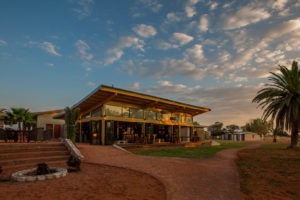 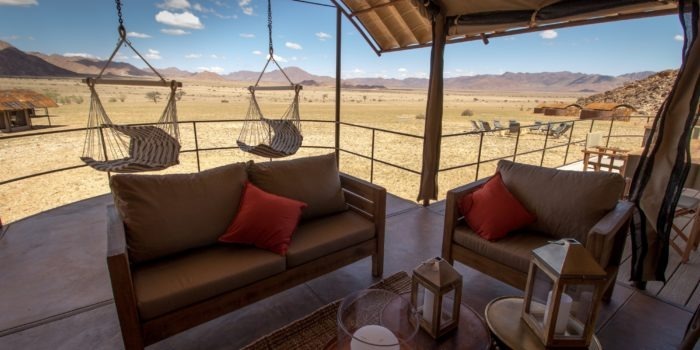 The private terrace has an inviting basket chair overlooking the open Kalahari terrain. 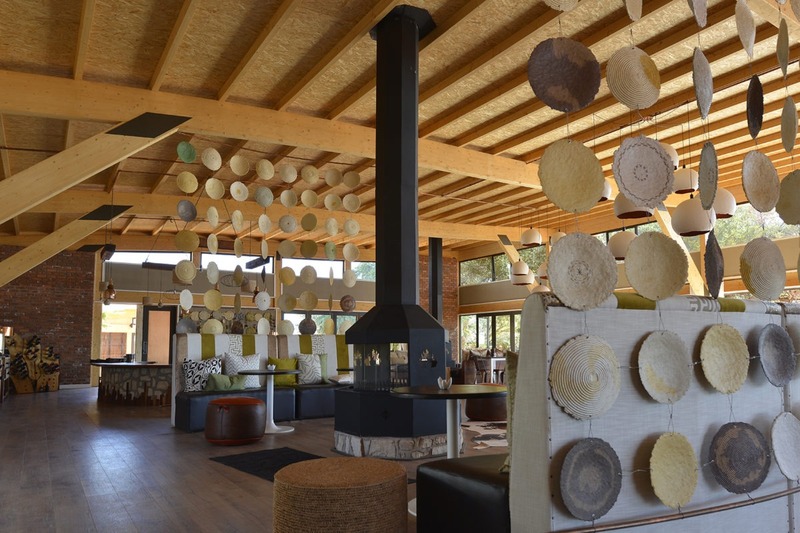 The communal area offers seats around the fireplace, a bar and two swimming pools with sun loungers. 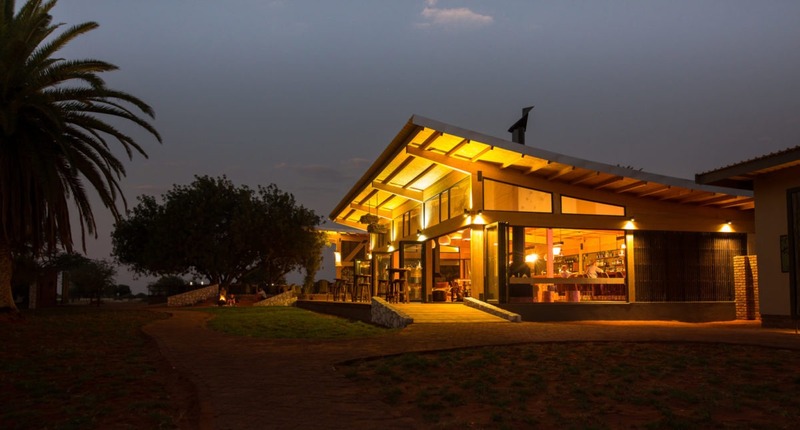 The open-plan dining area has the design of a modern barn and the floor to ceiling windows enables guests to experience the magnificent landscape up close. 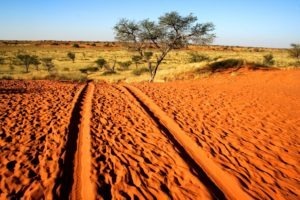 Explore the Kalahari on a morning or sunset drive and watch this earthly show in vibrant colour atop a red Kalahari dune. 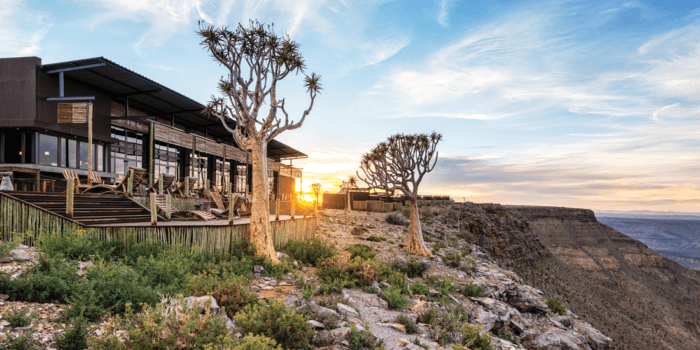 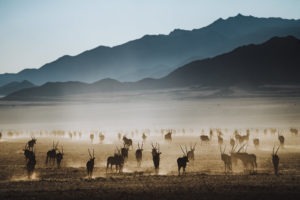 Enjoy your sundowner drink within the beauty of this special landscape where gemsbok flourish and sociable weavers build gargantuan nests atop camelthorn trees. 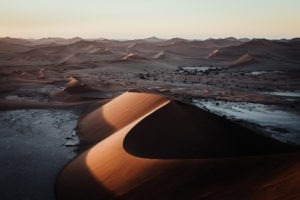 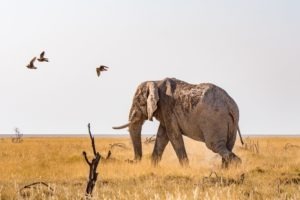 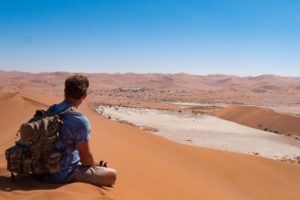 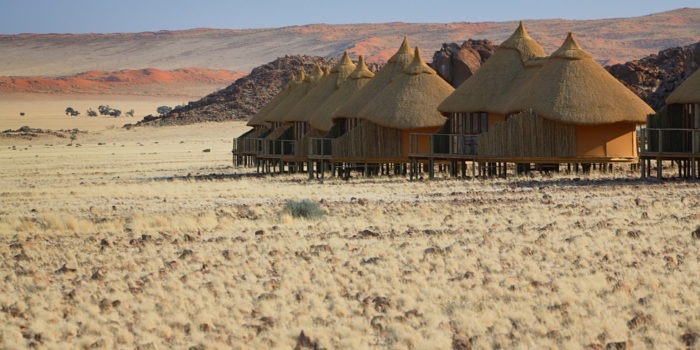 Guests can explore the area on own initiative on different hiking trails or by electric fat-bikes – both perfect ways to getting acquainted with the Kalahari Desert! Conveniently located 30 km northeast of Mariental. 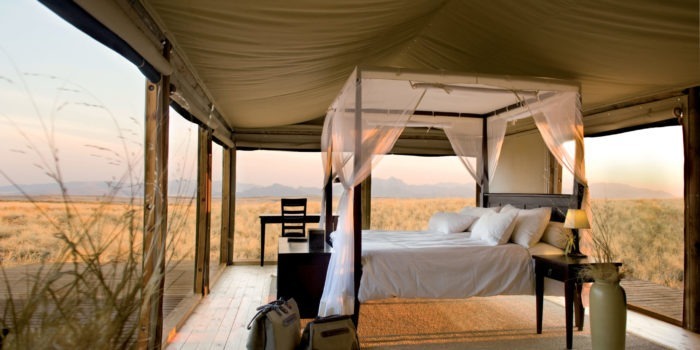 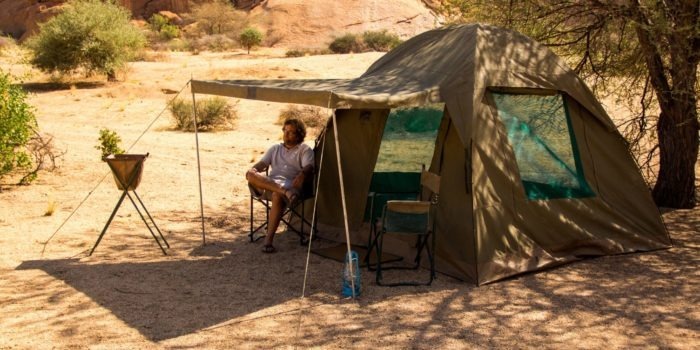 A perfect stop on the way to or from Windhoek offering a taste of the Kalahari. 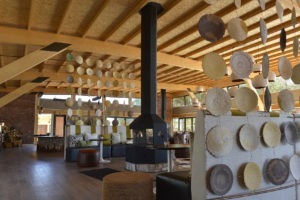 Chic rooms and an inviting restaurant with tasty food. 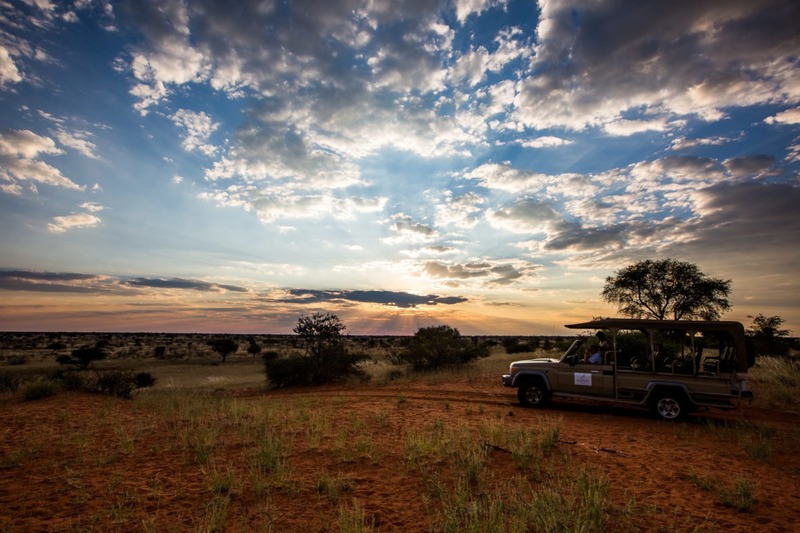 Sundowners…. 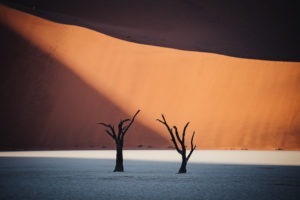 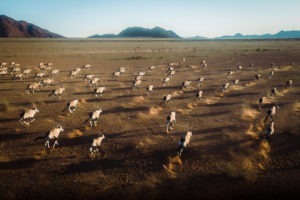 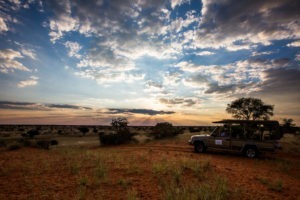 don’t miss this time of day when the earth seems to pause for Kalahari magic!